1984’s terrific Blood Simple established Joel and Ethan Coen as a magnetic cinematic force. Since than there has been certain high-brow expectations for the writing and directing team. Over the course of nineteen feature and thirty-two years, the pair has come with an unspoken promise of witty, rhythmic banter and top-notch storytelling with each upcoming release. Their comedies, such as 1998’s The Big Lebowski and 2000’s brilliant O’ Brother, Where Art Thou? also brought forth the promise of more minimized, intelligent gags. Such was a welcome breath of air for those of us who are wearied by Hollywood’s penchant for grossly overblown, mindless physical satire. There more seriously toned pieces, such as 2007’s Best Picture winning adaptation of Cormac McCarthy’s No Country for Old Men and 2013’s quietly masterful Inside Llewyn Davis, are among some of the most memorable photoplays of the past decade. As with any such creative force there are a few minor, often disappointing endeavors. For instance, the comic Tom Hanks starring vehicle from 2004, The Ladykillers. But, these wrong-headed moves are a rarity for them. Such is a phrase I had to keep repeating to myself. This was while sitting through the well-meaning, but fairly underwhelming, Hail, Caeser! 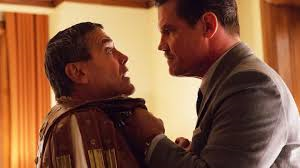 The story concerns an individual named Eddie Mannox (in a role by Josh Brolin that showcases his rugged charm as well as a layered and well-executed enactment). He toils at Capitol Pictures. This is a fictional filmmaking company which calls to mind the MGM of the 1930’s- 50’s. As the flick opens we watch with vague intrigue as he begins another chaotic day. His job is, among other things, to clean up the public image of Capitol Pictures’ stars. Such allows many of the brighter moments involving twin reporters, Thora and Thessaly Thacker (both charmingly played by Tilda Swinton). To make matters more stressful: Mannox is currently overseeing the production of the company’s biggest current release. This lavish, mega budget biblical epic, obviously inspired by the decade appropriate labors of Cecil B. DeMille, shares the same title of the movie itself. Most majestic of all is that the silver screen opus showcases the talents of one of their brightest stars: Baird Whitlock (in a depiction by George Clooney which is as likable and compulsively watchable as you’d expect from him). The endeavor seems geared for success. This is until a group of political minded writers, which exist to provide orientation points to the Communist scare and Hollywood blacklist that took place in the United States in the circa 1950’s period this endeavor is set, kidnap Whitlock. This is where Mannox is called in. He must keep the information of Whitlock’s abduction from leaking into the papers. All of this should’ve indicated a knockout. The premise had the promise of another impeccably honed, multi-perspective account. This parallels what we’ve come to associate with the Coens. The actors and actresses within certainly have proven themselves capable. Their portrayals herein only re-inforce this belief. For example, Ralph Fiennes is commanding as always as Laurence Laurentz. Scarlett Johansson is great as DeeAnna Moran. Frances McDormand as C.C. 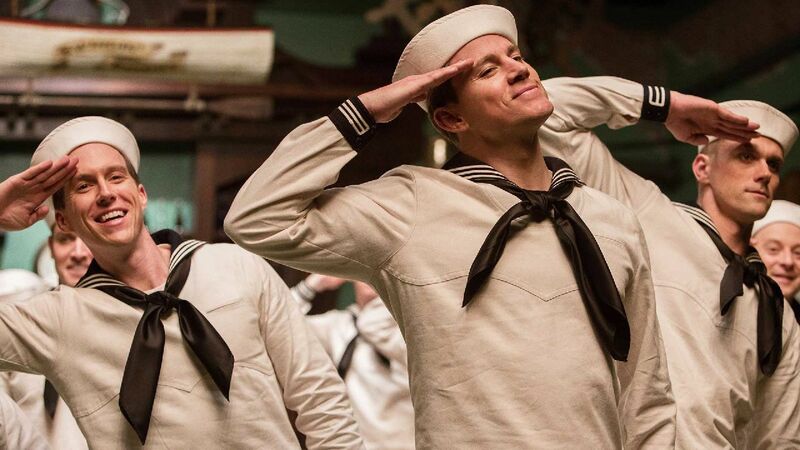 Calhoun, Channing Tatum as Burt Gurney, Alden Ehrenreich as Hobie Doyle and Jonah Hill in his brief turn as Joseph Silverman all add additional layers of dimension. They increase the differing personalities which dominate this varied cast. But, the opus itself does what I once thought was unthinkable for a Coen Brothers picture: it intermittently lumbers. This is especially true in the first forty minutes. Miraculously, it finds its footing and captures, for the most part, the unique Coen essence that we wished for all along. In this time frame, even the dialogue lacks the literate jocularity of their earlier, similarly light affairs. It follows a form much in their tradition. Nevertheless, it is too simple and straight-forward. It’s not to say it is without its entertaining ticks. Regardless, most of the first half is evidently lacking. There are a few mildly successful jokes sprinkled throughout this rough patch. However, the large sum of the guffaws distributed here are artificial and painfully desperate. Most of it is forced slapstick. This can be seen as an homage itself to the type of humor associated with 1950’s Hollywood. Still, it doesn’t gel. It doesn’t seem in line with the far more successful guffaws. These are those that playfully poke at the style of antiquated cinema in the last hour. 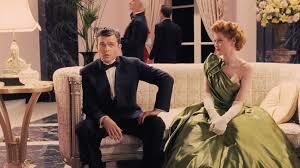 They range from lavish musicals to conventional western musicals. Even splashy singing mermaid ventures get thrown into the mix. This is where Johansson’s character comes into play. Regardless, Joel and Ethan Coen save their smartest morsels for the sequences where we watch these wide-ranging genre entries themselves alongside the audience on-screen. The songs which often accompany them are just as entertaining. This is especially true of the number attached to the rousing five and a half minute tap dance segment in The Song and Dance Man. It is just as true of the folksy ballad heard in Lazy Ol’ Moon. The narration which documents Mannox’s actions throughout are constantly smirk-inducing. There are even crafty references to real-life productions that are much at home with these fictional account shrewdly blended into the proceedings. The Gene Kelly starring and Vincent Minelli directed vehicle, An American in Paris (1951), are among them. All of these components summon the spirit of 50’s cinema tremendously well. 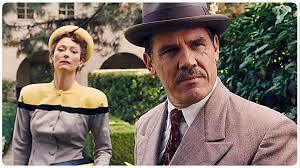 The pace is relatedly much in line with what you’d expect from prior Coen undertakings. Their writing is smart. Though it is ultimately a shadow of their prior penned endeavors. The direction, much like the editing, the two offer is elegant. It is on par with previous efforts. Yet, it never becomes uniquely striking. This hinders the chronicle greatly. Roger Deakins’ cinematography is undoubtedly a bright spot. It is luminous, cheery and eye-capturing. Besides, it fits the spirit of the flick beautifully. Carter Burwell’s music is also splendid and appropriate. It helps frame some of the more triumphant humorous flashes. Mary Zophres’ costume design, Nancy Haigh’s set decoration and Cara Brower and Dawn Swiderski’s art direction are all wonderfully fashioned. The make-up, special effects and sound department carry on the spectacular quality of these technical attributes. These angles all add to the visual appeal outstandingly. Hail, Caeser! clocks in at one hundred and six minutes. For nearly 2/3 of that length it succeeds. It has several meditative and brilliantly artistic moments to heighten its character-oriented focus. These are all Coen trademarks. They satisfy well enough. But, the section beforehand sets the article immediately off on the wrong foot. It feels like it could use better timing. Likewise, it could’ve benefitted from a round of tightening and another re-write or two. Than it might have been worthy of what comes after it. Maybe than we could’ve had a cohesively solid addition to the Coen catalogue. Perhaps my own expectations were so high that I need to see it a second time to see it for what it is. Either way, the Coen’s latest often felt uneven. Also, it left me not entirely fulfilled. Sadly, this one of the duo’s lesser exertions. Which, amusingly enough, is just as impressive as many others’ greatest works. Simply put: it’s worth a watch. This is as long as you don’t expect another Coen classic.